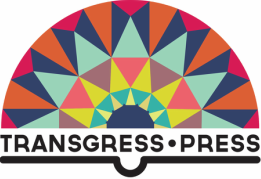 Welcome to Transgress Press. We are an indie publisher, “the little press that could”, changing the world one book at a time. Covering a variety of genres, our books push the boundaries of conventional thought with innovative ideas that open new paths of wisdom and inspire ethical action. In our commitment to progressive change, we co-sponsor cultural and educational programming in conjunction with entrepreneurs, artists, scholars, nonprofits, community groups, colleges and universities around the world. Stop by our Facebook page to find out about our upcoming events in your town or city.